Importing or exporting goods into and out of the UK will mean your business has to account for VAT. All goods that are bought into the UK will usually have VAT applied to them at the current rates that exist in the UK. However, note that any imports that have a value of less than £18 won’t have any VAT payable on them. When your business exports any goods the country they are sent to will determine whether any VAT is payable. More detailed information about VAT and exported goods can be found in the customs notice 703 that is available on the HMRC (HM Revenue & Customs) website. The terminology that you will see when VAT and exports are discussed should be clearly understood. If your business moves any goods to a country outside of the EU, these goods have been exported as they have left the European Community economic area. If you move goods to another EU Member State, these are called removals. In addition, if you are not sure if the goods you will be moving to an EU or none EU country are zero rated for VAT, call the HMRC National Advice Service Enquiry Line on 0845 010 9000 to confirm the status of your goods before they are dispatched. VAT is normally charged on goods that are consumed in the country where VAT applies. However, when goods are moved to another country, VAT is still applied, but it is applied at a rate of zero as long as any conditions attached to the goods is met if full. Sending goods to or receiving goods from any of the current 27 EU Member States will mean your business still has to account for any VAT that is applied to the goods even if this is at zero rate. Don’t forget, these goods are not free from VAT, they just have VAT applied at zero. Also, if you do have to pay any VAT on these goods your business can normally claim this back. You should include details of the goods in box 8 of your VAT return. In addition, your business also needs to submit what are called EC Sales List (ECSL) declarations. More details about ECSLs is in notice 725 on the HMRC website. Lastly, if your business exports more than £260,000 of goods each year, you must complete an Intrastat return. The information on the form is used by HMRC to compile sales figures. More information is available on the HMRC website. Moving goods to a country outside of the EU - called third countries - will mean your business will have to account for and pay any VAT taxes that the goods attract. The value of the goods you are importing and their VAT must be on the SAD (Single Administrative Document) - also known as form C88 - that should accompanying all your consignments. You should show the VAT level even if this is for zero rated goods. Goods that attract VAT must always be accounted for on your business’s VAT return. It is important to understand how VAT operates with the goods your business is either importing into the UK, or exporting to EU or none EU Member States. Zero rated VAT does not mean the goods are free from VAT. Your accounts must still show the VAT that is attached to all goods that the tax applies to. 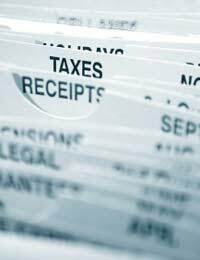 HMRC will want to see in your accounts that VAT has been shown in full.